Over the past decade Endura Color has become the number one choice for professional aibrush artists who rely on performance and durability. Endura is an alcohol based blend of airbrush tattoo ink and body f/x makeup providing an extensive spectrum of opportunity. 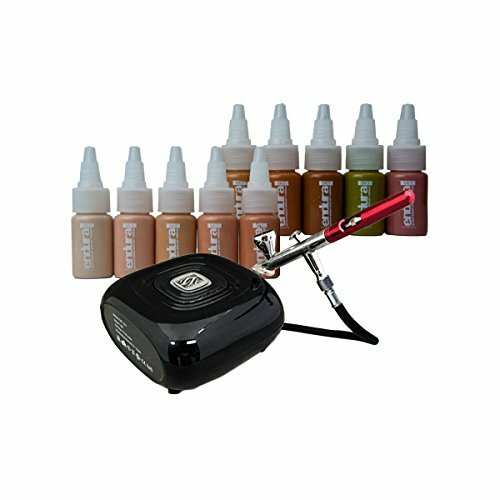 Known for it''s superior longevity (up to 7 days), high detail spraying ability, unlimited blending capacity, quick drying time and realistic looking colors, Endura is widely used for special effects, airbrush tattoos, prosthetics and body painting. Alcohol based. Waterproof. FDA approved.